The love-hate relationship between arch rivals, Apple and Samsung is known to everyone. Whenever one tech giant launches a smartphone, many of us wait for the other one to come up with a better one. While Apple launched its premium flagship smartphone, iPhone X in November 2017, everyone was eagerly waiting for Samsung to launch its high-end smartphones, Galaxy S9 and S9+, which it did recently. So, who is the winner??? Although, Galaxy S9+ that is powered by Snapdragon 845 SoC is certainly faster than any Android phone but it cannot outperform the A11 bionic-powered iPhone from Apple, the iPhone X. 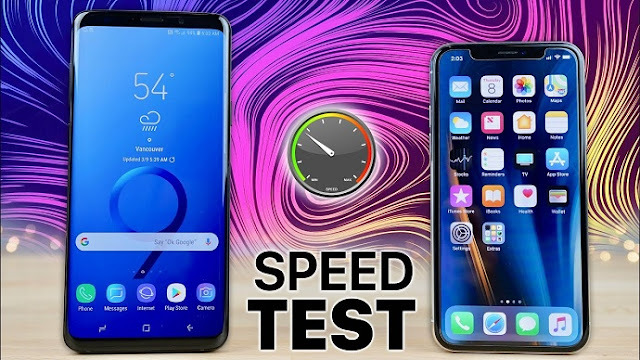 However, in a speed test video put together by YouTube channel EverythingApplePro, the iPhone X has lost out to Galaxy S9+ purely in terms of performance. 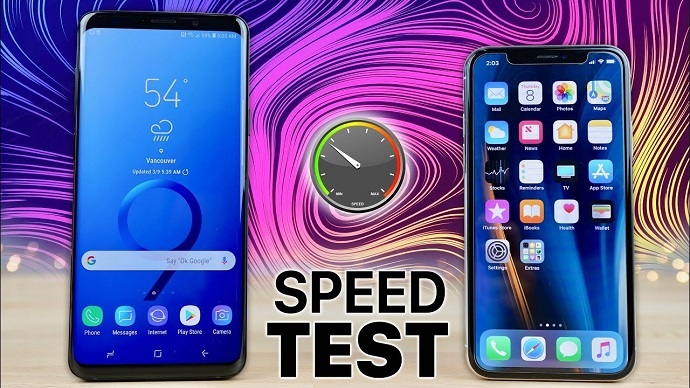 While speed test aren’t really the most scientific way to assess the performance of a device, it does provide an insight on how fast the devices would work in real-life situations. It is also important to note that both the handsets consists of different hardware and software components, and their handling of processes too are different. In the first lap that had “launching apps” as part of the speed test, the iPhone X emerged as the winner, as it was much faster than the Samsung S9+ while loading graphics-intensive apps and 4K videos. However, the second lap that focused on relaunching apps, saw the 6GB of RAM packed in the Galaxy S9+ take the lead and beat the iPhone X that comes with 3GB of RAM by a pretty decent margin. Basically, the extra RAM allows the Samsung Galaxy S9+ to open apps from memory in a jiffy. The video shows benchmark tests for both phones, including Geekbench 4 (iPhone X wins here) and Antutu (the Galaxy S9+ scores better than iPhone X). The Galaxy S9+ also performs well in single-app load times, biometrics performance, boot time, and wireless data speeds.